Although physiologic threshold monitoring works great in the OR, it is unreliable on post-surgical floors. Up to 750,000 cardiopulmonary arrests occur in hospitals every year in the United States. According to a review in Intensive Care Medicine, only 15% to 20% of these patients will survive. After 40 years of technologic advances, why hasn’t in-patient survival improved? 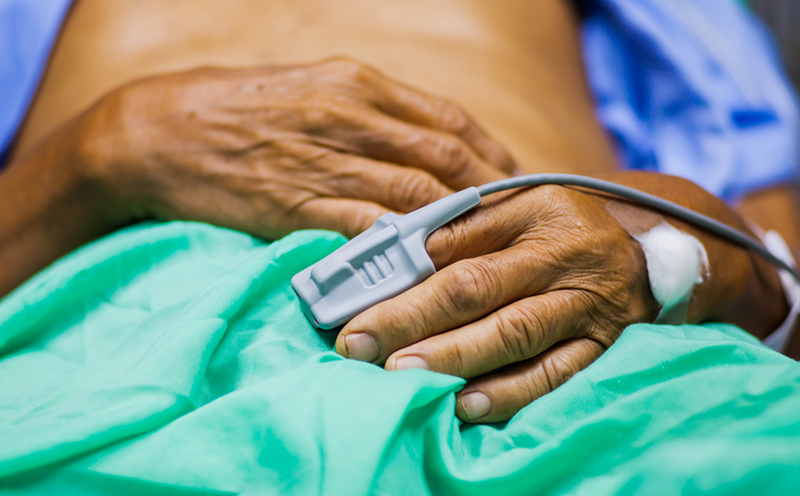 Tragically, the survival rate following in-hospital cardiopulmonary resuscitation has changed little in the last 40 years, even though much has been done to improve respiratory monitoring and the deployment of competent resuscitation. One study of 139 in-hospital deaths showed that 62% could have been prevented if deterioration had been detected earlier, and nearly half (48%) of these patients had clear clinical signs of deterioration that went unnoticed. After 40 years of technologic advances, why hasn’t in-patient survival improved? Our best explanation is that we’re still relying too heavily on threshold breach monitoring (TBM). TBM is based on setting a threshold for a physiologic parameter, such as the percent of oxygen saturation, below which an alarm is set off. The following is an example that makes this point. From the early 1980s, operating rooms (OR) have been using monitors called pulse oximeters. They became a standard of care in surgery faster than any other technology in the 20th century by providing anesthesiologists with vital real-time patient information while painlessly attached to a fingertip, displaying ongoing, reliable, moment to moment oxygenation of the patient’s blood. This success and rapid adoption was not based solely on the technology’s effectiveness. Rather, it was an amalgam of the technology and exactly where it was being used. The “where” must account for what actually happens to patients in a given surrounding, in this case, the OR and its unique circumstances. This has been a terribly important point lost on many clinician decision-makers advising hospitals for years. When pulse oximetry was first applied in the OR, an oxygen saturation threshold alarm value of 90% was decided on through consensus, but primarily because of the metric influence at that time. And, it turned out to be an excellent choice because once anesthesia begins, it quickly renders patient breathing extremely unstable; so unstable that severe brain damage and death can occur in as little as five minutes if not competently managed. Any downward drift in a patient’s oxygen saturation from its normal 98-100% to below 90% would set off an incessant alarm commanding everyone’s attention and the expert skills of the anesthesiologist to intervene. What it actually tells everyone in the OR is that it’s extremely likely one of just two things is happening, with only one being potentially lethal. Either the monitor’s sensor has accidentally come loose from the patient’s finger or the patient’s airway is compromised, meaning the patient isn’t breathing adequately or at all. So using a 90% threshold alarm works wonderfully in ORs, but not because this number has special physiologic importance of its own. It works well only because anesthesiologists are always there and have been specifically trained to fix this problem without delay. Were this particular threshold changed to 85% with all else kept the same, it would likely be just as effective a tool for exactly the same reason! Millions of Americans desaturate (drop) below 85% during sleep every night, sometimes hundreds of times a night, because of undiagnosed or untreated obstructive sleep apnea (OSA). There aren’t any short-term negative consequences from these brief, episodic desaturations that generally self-correct. Does the OR standard work on the floor? However, while effective in the OR, a 90% alarm threshold will leave hospital post-surgical floors much more error-prone and ineffective by disallowing early detection of the common critical conditions that occur in those settings, including sepsis, pulmonary embolus, congestive heart failure, aspiration, and opioid-associated respiratory depression. Another unintended, harmful consequence will also persist—alarm fatigue. Unfortunately, when pulse oximetry migrated from the OR to the post-surgical floors less than 20 years ago, there was little thought given to the differences between these unalike environments. An unquestioned, blind transfer of the OR’s 90% threshold accompanied the monitor with an unfounded expectation of similar spectacular outcomes improvement. Instead, it failed spectacularly, because unlike the OR where loss of airway and respiratory arrest are commonplace, on hospital floors patient self-correcting, benign sleep apneas are constantly breaching 90% thresholds, especially when opioids are being administered to control pain. This leads to inadvertently setting off an endless cacophony of needless, distracting alarm noise. This monitoring failure should have immediately prompted hospital floor leadership to reconsider its threshold choice because these threshold triggers are meant only to be useful clinical tools with no inherent physiologic importance of their own. They are useful only if they are capable of helping professionals detect and fix the common serious problems specific to an environment before irreversible harm can mount. To expect just one threshold value to perform optimally across heterogeneous environments is irrational. Most institutions continue to this day to handicap patient care and safety by thoughtlessly forcing this inappropriate 90% oxygen saturation threshold onto their post-surgical floors. They mistake it for a Standard of Care because it was originally designated by consensus and had success in the OR, regardless of its obvious problems on the floors. It has been proven incompetent and continues to cause clinician aggravation because of alarm fatigue and needless loss of patients’ lives from delays in detection. How do we resolve the problem of unearned dependence on unreliable threshold breaches and improve the safety of post-surgical care? A first step should be to convince frontline healthcare professionals just how unreliable these physiologic threshold values have been and why. Then, by using physiologic pattern recognition, we can teach them better, more reliable ways to detect unexpected clinical deterioration early. Continuing to ignore the problem is no longer acceptable. In my next article, I will be exploring in more depth why the threshold for triggering a pulse oximetry alarm varies depending on the site of care.